The film hits theaters on September 29. The Twin Peaks revival is nearly halfway through, but that's not stopping David Lynch from moving on to his next project. 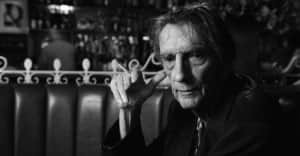 The legendary director landed a supporting role in John Carroll Lynch's directorial debut Lucky, and the trailer has finally been released. In the indie film, David takes on the role of a cowboy hat-wearing man named Howard who is in pursuit of an escaped figure named President Roosevelt in a desert town. Turns out that the missing fugitive is a 100-year-old tortoise, but Howard is determined to find him. Lucky premieres in theaters on September 29. Watch the entire trailer in the video, above.